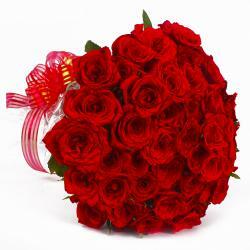 Product Consist : 24 Red Roses with green fillers in Tissue paper Wrapping with Ribbon Bow on it. 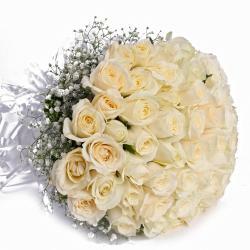 Roses are not only beautiful but also very elegant and premium to be gifted to anyone. 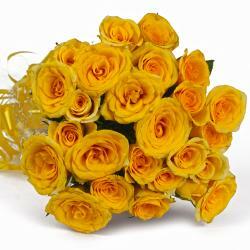 If you want to send a premium gift to anyone bear to your heart, Red roses are the best. 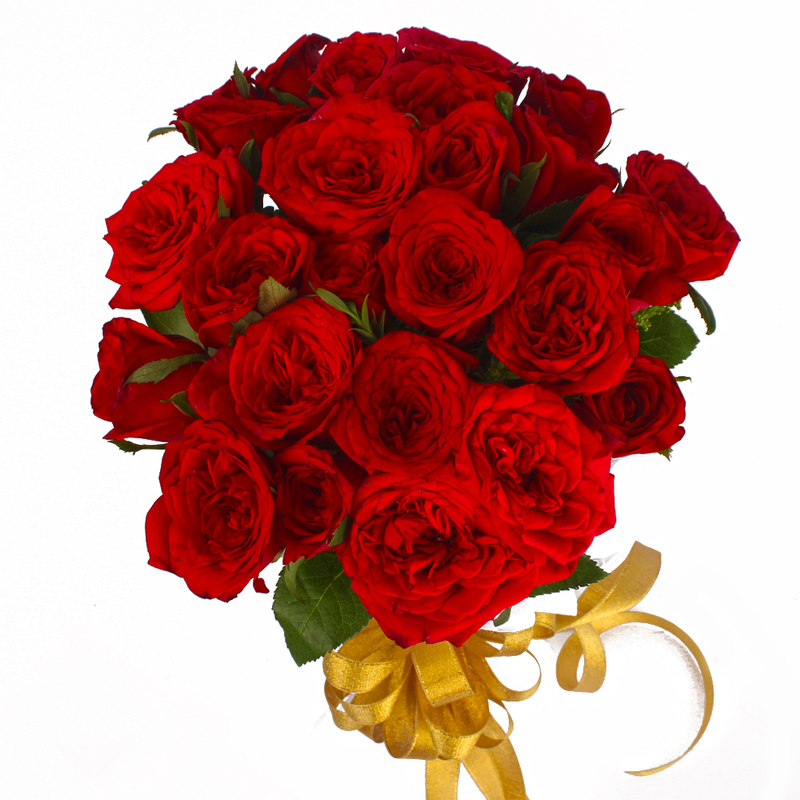 Have a look at the twenty four red roses bunch in tissue wrapping, that are good to go ahead as a gift for any special occasion for your loved ones. 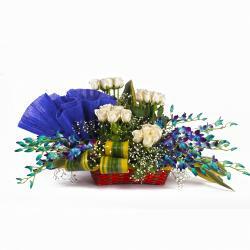 Birthday, Anniversary, Independence Day, Thanksgiving Gift, Friendship Day, it will work very best. 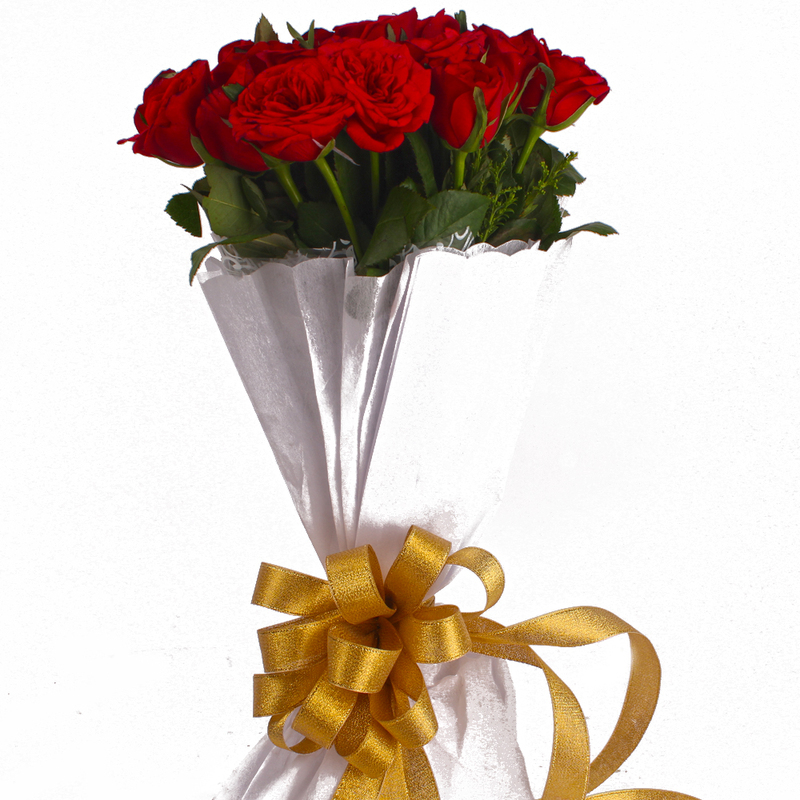 Product contains : 24 Red Roses with green fillers in Tissue paper Wrapping with Ribbon Bow on it.